[Video] SHINee Returns at Music Bank with Hello! This entry was posted on October 1, 2010 by redtofu. 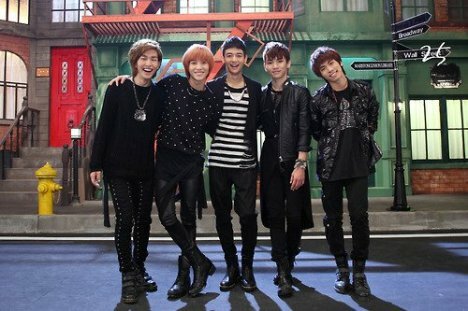 It was filed under Boy Band, Comeback, Live Performance, Videos and was tagged with music bank, SHINee.